Playing with Grandma’s Cavalier puppy, Frankie. Kyle’s grandma has a large collage frame for wedding photos. 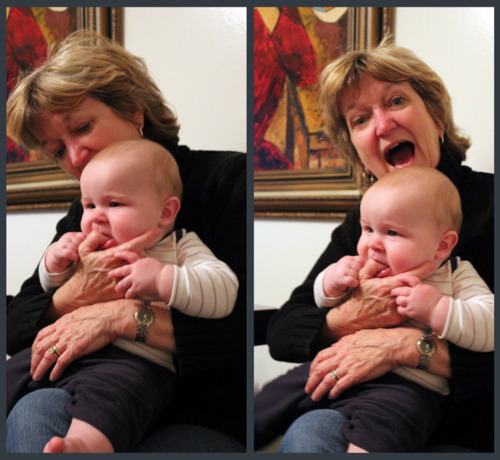 August and Grandma Cindy from a couple weeks ago.